Today on this Wednesday Bucky & Sully Show, we had a full slate of Buffalo sports to offer you! Dropping knowledge in our first hour with more audio from the postgame on Sunday! We also recap with Leslie Frazier and Brian Daboll and their comments made Monday! Some interesting stuff was laid out there and the guys dissect it all. We also were joined by local UB Mens Basketball Head Coach Nate Oates! He was nice enough to offer his thoughts on the season kicking off shortly and what he and his team need to do to be successful this year. We were joined by Mike Vaccaro of the New York Post in the second hour! He brought a plethora of info regarding the NY Jets and the match up taking place this Sunday between them and the Buffalo Bills in New Jersey. Bucky did not fail to surprise with his daily BUCK UP and Jerry was saltier than ever in his SALTY SULLY! Obviously our ThermoSTATs were ‘Fire’ and we had so much to get through you better listen carefully for everything! Matthew Fairburn of the Athletic Buffalo joined us in the last segment for a breakdown of HC Sean McDermott’s media day presser! HOUR 1: We had alot of UB Bulls talk with both the Mens Football & Basketball teams coming out of last night with victories! We also heard from UB Mens Basketballs’ very own HC Nate Oats! We closed out the hour with Nate and some great conversation and meanwhile, were getting Bucky ready to choose his BUCK UP next hour! HOUR 2: Right off the bat…Bucky revealed his BUCK UP and it was FIERY, thanks to Sully! 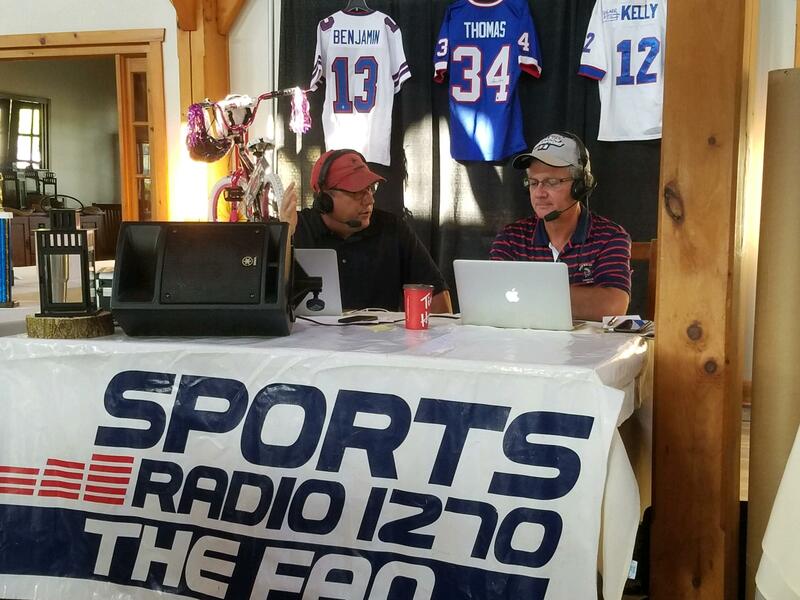 Shortly after we were joined by Mike Vaccaro of the NY POST to talk the Bills|Jets game in NJ this Sunday! Obviously we needed to provide steaming, hot ThermoSTATs to close out the hour! HOUR 3: We got a very SALTY SULLY to get us started! We had Matthew Fairburn from the Athletic-Buffalo on to tell us what the Wednesday media day presser brought from HC Sean McDermott.